The European Space Agency (ESA) wants to build a permanent base on the moon, in the same place where the Russians first arrived half a century and Americans took their first steps. In this ambitious project, which still needs a couple of decades to materialize – is based at the European Astronaut Centre, based in the German city of Cologne. “My intention is to build a permanent base on the moon, an open station to different Member States around the world”, said Jan Warner, director of ESA. 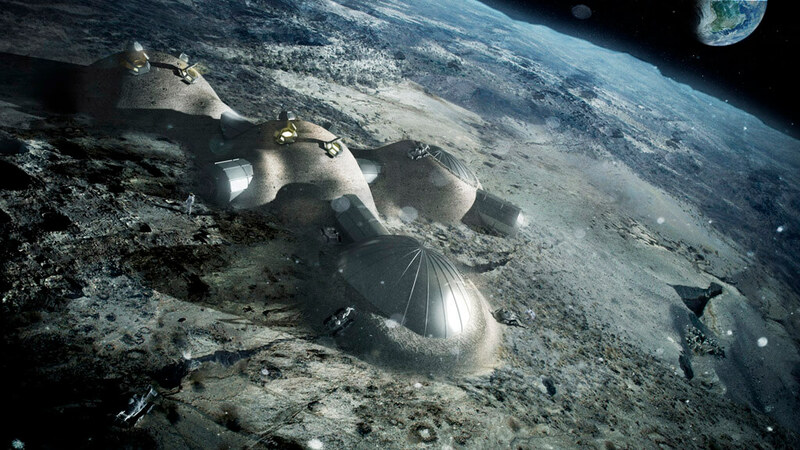 The base would be to facilitate the use of metals, minerals and water ice on the Moon. However, the project has threats, such as solar and cosmic radiation, micrometeorites and extreme temperatures. For this reason the Irish scientist, Cowley Aidan, proposes to build radomes. “It occurred to us that we could use this material in three dimensions to build a structure or LEM habitable, and we believe it can be done. Our concept is that a robot vehicle will land on the surface of the Moon and construct an inflatable dome as a basis to build the protective layer that will protect astronauts safely inside, “he said. ESA recognizes that still need 20 years at least until the technology is ready to make this project possible.